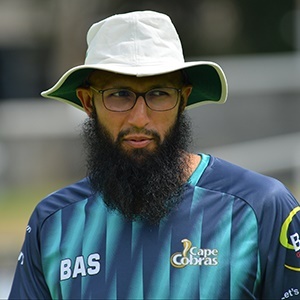 Cape Town – Hashim Amla's absence from cricket will continue into the One Day Cup semi-finals this week. The Cape Cobras travel to Centurion for a last-four clash against the table-topping Titans on Wednesday, and coach Ashwell Prince confirmed at Newlands on Monday that they would do so without Amla. The 35-year-old, who has not played a competitive match since March 1, has been sidelined because of personal reasons as he continues to be by the side of his critically ill father. While the circumstances are obviously sensitive, uncertainty over Amla's World Cup participation later this year has been intensifying as a result. With Amla out, both Aiden Markram and Reeza Hendricks have - at different times - made the most of their opportunities in national colours and the top-order conundrum is now one of the last outstanding issues that is quite literally keeping selection convenor Linda Zondi awake at night. The possibility exists that the Proteas could take all three of Amla, Markram and Hendricks to England, but reading between the lines in a Sport24 interview with Zondi earlier in the month, that seems unlikely. There are undoubtedly some big conversations ahead for the national selectors, but for now they will not get to see what kind of touch Amla is in. "We're not expecting him back for the semi-final," Prince said. "We've given him the time and space at the moment. We're not going to hassle him with trying to get him to come play a cricket match. He is dealing with far more serious business, so we've just given him that space." There is, of course, still the domestic T20 competition to play before the World Cup squad is announced on April 18. That tournament starts on April 5, though, and the Cobras are in action just five times before the World Cup squad is announced. Prince did confirm, meanwhile, that JP Duminy would captain the Cobras against the Titans on Wednesday. Who will you be backing in this year's Momentum One Day Cup?